So you want the best home bar EVER, do ya? Of course you do! Whether you’re creating the perfect man cave, designing a basement bar, an outside patio bar – or putting a bar right slap in the middle of your living room – there are things you need to do in order to get THE perfect bar that will dazzle your friends and impress the heck out of all that see it. 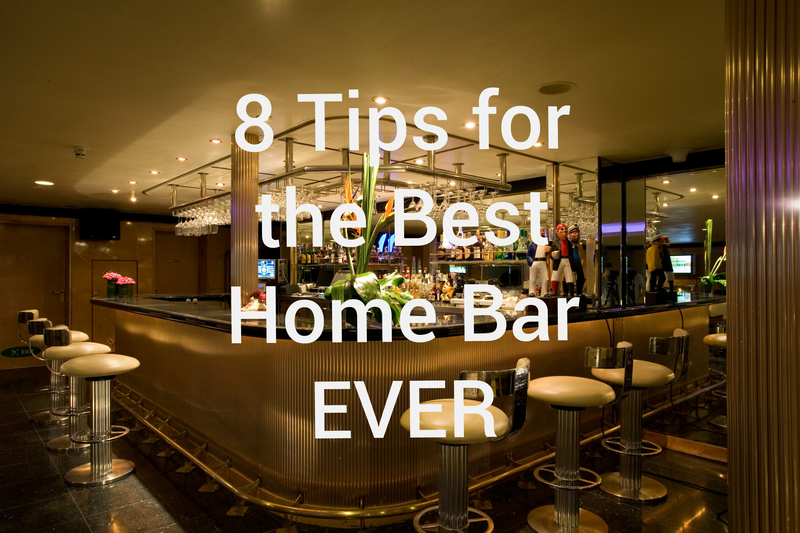 Read on to learn 8 simple tips to really amp up your home bar set up as well as some advice on home bar design and stocking your home bar. Whether you’re building a new home bar from scratch, or have an existing bar that you want to spice up, there’s a lot you can do to improve the look, ambiance, and effectiveness of your home bar. A good place to start is to gather some photos or take photos of your favorite looking bars. Figure out what strikes you about them and use that as a starting ground for your home bar. Depending on the mood you’re trying to set with your bar and your personality, you might want to choose a color theme. For example, if you’re going for a laid back and mellow feel, use darker colors like blues, greens, purples, etc…where if you’re looking for an uplifting and energizing fell, look more towards bright solid colors. Make sure your seating is cozy, but not too cozy. You want your guests to be comfortable, but you don’t want them so comfortable that they’re falling asleep at your bar. This is partly why bar stools typically don’t have a back rest. Not having a back rest also encourages people to lean over the bar and get more engaged in the conversation. Get an excellent sound system. Music has always been at the heart of any bar, so don’t neglect this with yours. Your bar should have a large collection of your favorite music, commercial free internet radio, or an easy place for you or your friends to doc their ipods and iphones. Have some pre-selected collections of music that you can put on shuffle so that you always have something playing in the background. Easy access to the volume is a must so that you can crank the volume on queue. If you’re a sports fan, this is a no-brainer, but you can also use your TV to enhance your bar in other ways. One of my favorites is Wii video games and the infamous Rock Band are always a hit and never fails to engage your guests. Another good use is to display ambient visuals. They make DVDs that display interesting graphics for this type of thing. Another good bet is music videos. This is one of the features that will have all your buddies over at your house every weekend. As sure as beer is cold and flowing out of your home bar tap, people will be there to drink it with you. If it gets too out of control, throw a keg fund jar out. Ensure that you have everything you need for making drinks when you need them. This includes a drink shaker, a pitcher, barware glasses (martini, beer, highball, lowball, etc…), swizzle sticks, napkins, rim salter, drink pourers, etc… Don’t forget ice, either. At least get an ice bucket, but if you plan to serve larger groups, you’ll probably want to invest in one of these portable ice maker machines. Don’t skimp on the lighting. Lighting is one of the things that can make the biggest impact to your home bar. With a small investment in some recessed lighting or dimmers, you can transform your bar from dull to delightful. 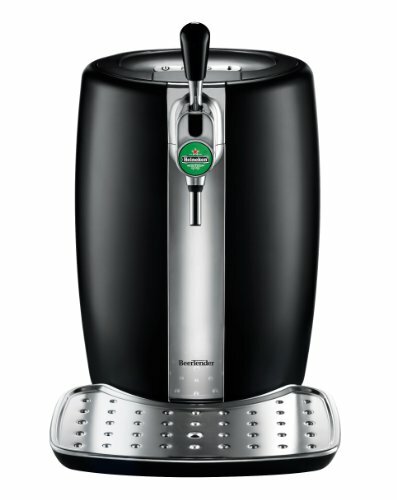 What Do I Need for My Home Bar?